If you are looking for the quintessential Vancouver waterfront lifestyle and views this is the one! Prime waterfront location with AMAZING UNOBSTRUCTED VIEWS from LIVING, DINING, DEN, BEDROOM & KITCHEN! 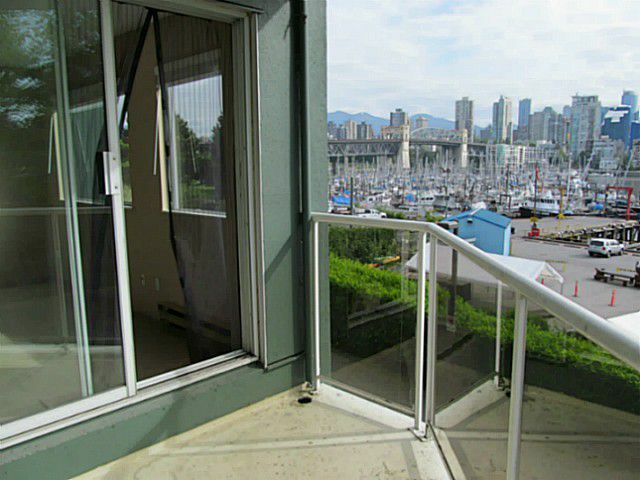 This large pristine 836 sq ft 1 bed and den unit is located on the False Creek seawall and steps from Granville Island, Marina, Fisherman's Wharf, restaurants, transit and shopping. 1 parking, pets and rentals allowed. COV prepaid lease to 2046. Very bright unit w/new carpet & blinds, freshly painted, and lots of storage and is in immaculate condition. Come make this your piece of paradise! Priced below assessment value. First Open House Sunday May 25, 2014 2:00 PM to 4:00 PM.